Goffin's cockatoos can tear cardboard into long strips as tools to reach food—but fail to adjust strip width to fit through narrow openings, according to a study published November 7, 2018 in the open-access journal PLOS ONE by A.M.I. Auersperg from the Medical University of Vienna, Austria, and colleagues. The Goffin's cockatoo (Cacatua goffiniana) is a type of parrot. Captive Goffins are capable of inventing and manipulating tools, even though they aren't known to use tools habitually. The authors of the present study investigated two questions: do Goffins adjust tool properties to save effort, and if so, how accurately can they adjust tool dimensions for the task? 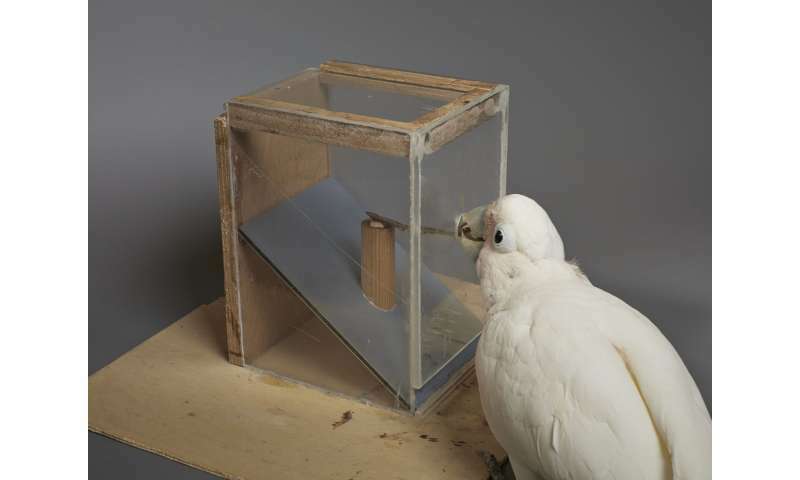 The authors supplied six adult cockatoos with large cardboard sheets to tear into strips as tools for the testing apparatus: a food platform with a food reward set at varying distances (4-16cm) behind a small opening which also varied in width (1-2cm). They found that the Goffins were capable of adjusting the length of their cardboard strip tools to account for variations in food distance, making shorter tools when the reward was closer than when it was set farther away. In every case, if a first-attempt tool was too short, the second-attempt tool would be significantly longer. On average, all six birds made significantly longer tools than were required to reach the reward in all test conditions, with the birds tending to make increasingly long tools as the study progressed—perhaps as a risk-avoidance strategy. However, only one bird was able to make a sufficiently-narrow tool to successfully reach the food reward when the opening was at its narrowest. The authors hypothesize that the shearing technique the birds use to tear the cardboard limits the narrowness of the resulting strips. The authors suggest that future studies provide less restrictive materials to assess whether Goffins are cognitively capable of adjusting tool width in this situation. 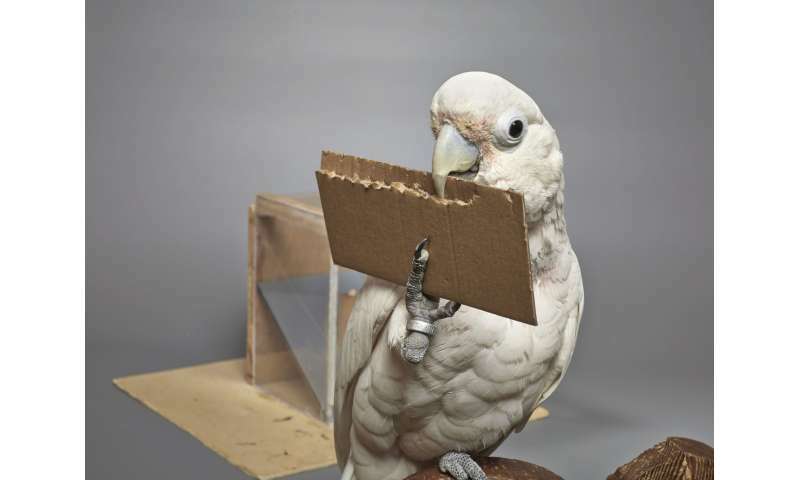 Alice Auersperg adds: "The way they inserted and discarded manufactured pieces of specific lengths differently depending on condition suggests that the cockatoos could indeed adjust their tool making behavior in the predicted direction but with some limits in accuracy. "